If you’ve been following me for a while you probably know already that I have a very close relationship with vinegar. I think it’s truly magical and the great results I get in the kitchen or around the house are the living proof. This time around vinegar plays a big part as a vinegar weed killer, a powerful homemade herbicide, together with another favorite: salt. I love gardening, although I don’t really have that much time to spend in the garden. I’m still a rookie when it comes to gardening but I definitely know one thing: I truly despise weeds!!! They’re literally a slap in my face when after a few hard working days in the garden, they decide to pop up all around my lawn, patio and even the driveway. While applying a homemade grass killer is not an option for my lawn, I truly enjoy using one, like this vinegar weed killer, for the rest of the areas affected,. The results are super quick and usually take a while until weeds grow back. These alternatives work pretty efficiently! 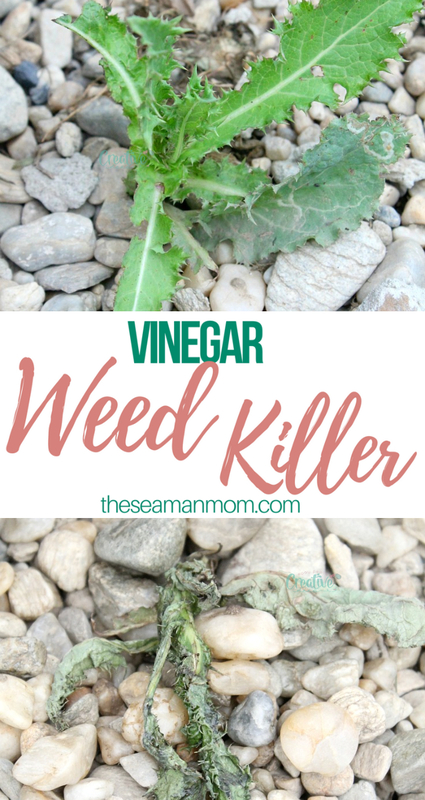 The problem with both vinegar and salt is that they are non selective, meaning they’ll kill just about any plant so you need to make sure you protect the other plants in your garden when applying any of these. I love using vinegar only, for most of the times when I need to get rid of weeds, because it’s eco friendly and won’t harm my pets, family or the environment. 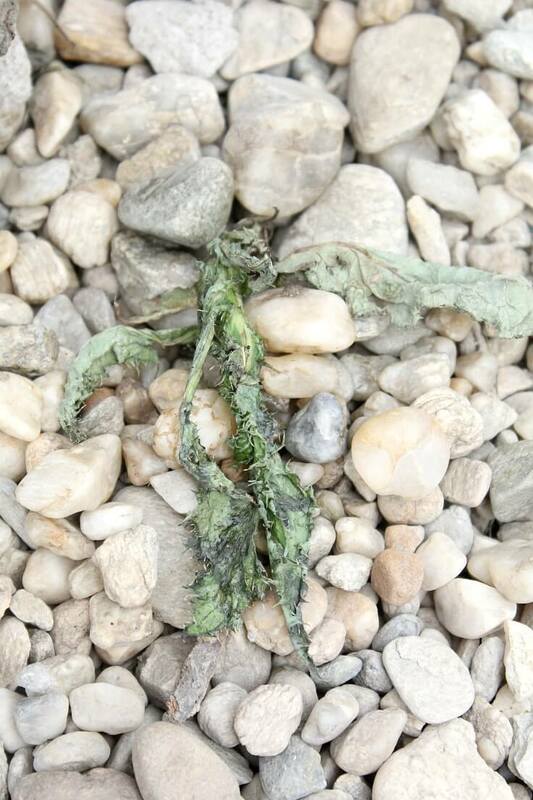 Even though it’s non selective, my vinegar weed killer won’t have a long term impact on soil properties so plants will be able to grow in the spot where you used vinegar, pending enough time has passed by. But vinegar won’t kill weeds for good so you’ll need to pair it with salt if your goal is to kill them in one go. 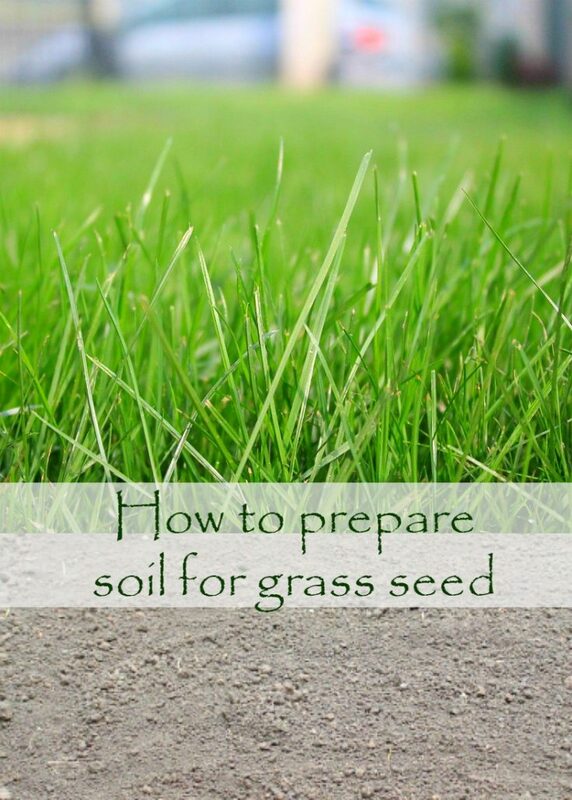 Just make sure to never pour the salt mixture on soil, as the solution will make sure that nothing grows in that spot again. I normally use this combo for my cracks in pathways, driveways and walkways and use vinegar only around my berry bushes and trees, making sure not to spray on the plant or tree but only on weeds. Another great homemade herbicide is boiling water, an extremely effective weed killer. You are basically “cooking” the weeds, including their roots so chances are they’ll never grow back. But boiling water is also non selective so make sure you don’t pour it over your plants. If you choose to use vinegar only, pour regular vinegar in a spray bottle and soak the weeds you need to kill on a sunny day (vinegar needs at least 3 hours of sun to act on the weeds). 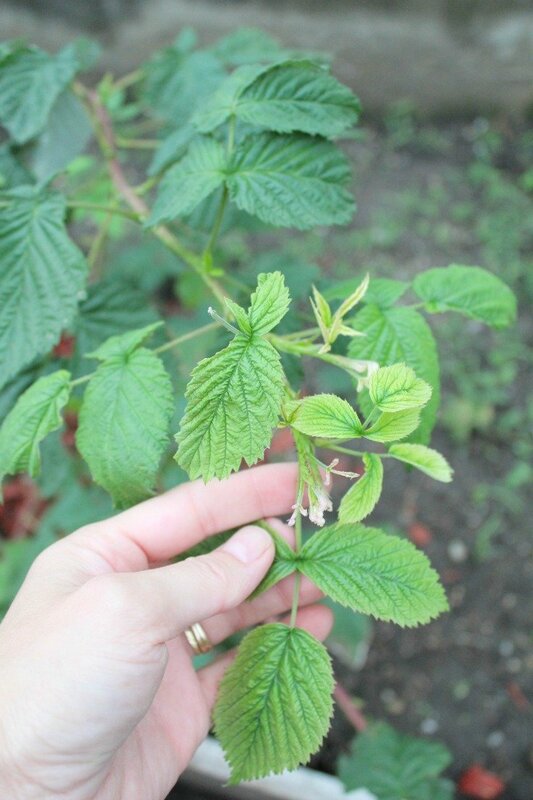 The weeds will die in about a couple of days but they might grow back and you’ll need to reapply vinegar. I do find that the new weeds have weaker roots so they’re super easy to remove by hand. 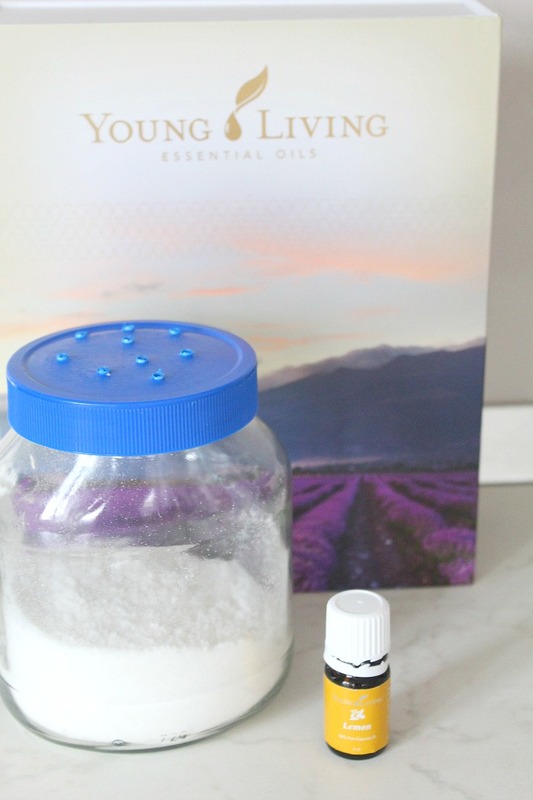 If you’re using vinegar and salt, make a mixture of 1 cup salt per 1 gallon vinegar, combine in a bucket until salt is dissolved, pour the solution into a spray bottle and apply liberally on weeds, in a sunny day. The weeds will die and never grow back, but then again, nothing else will grow there, so make sure you apply this mixture with care. If using boiling water, put a kettle of tap water on the stove and heat until boiling, then pour on the weeds you wish to kill. Boiling water is a great way to clear out vegetation on driveways and sidewalks. 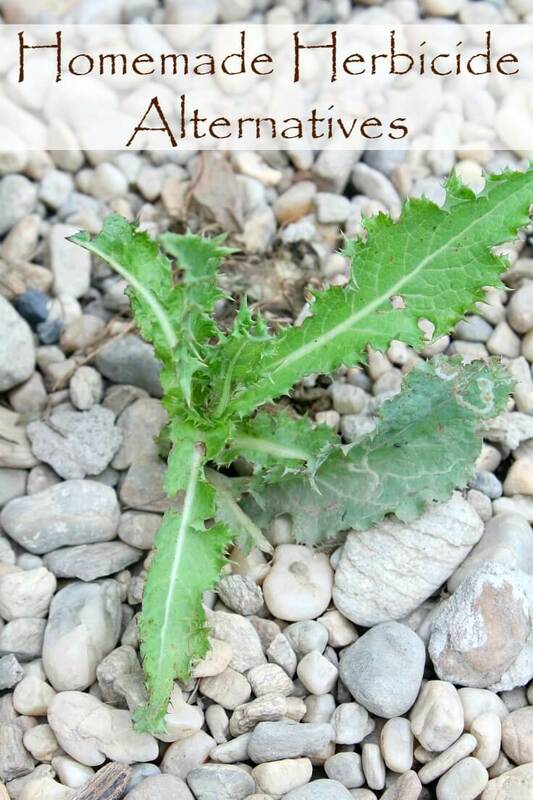 I hope you’ll get to enjoy these homemade herbicide alternatives as much as I do! Let me know how they worked for you! I love this and had no idea that you can use those things at all! I am a newbie myself with all this gardening stuff. We would love for you to share this at our blog hop https://www.floydfamilyhomestead.com/2016/09/07/the-homesteader-hop19/! !